We’ve long been flag-bearers for portable charging systems, and the news of yet another prototype in the works has left us smiling graciously. At the Colorado State University, a bunch of designers are at work, toiling hard to develop solar-powered clothes from natural fibers that could in the near future be the best way to power up on the go. Be it mobile phones, media players or GPS devices, these clothes could pretty much trickle in solar juice and have just about any portable device powered up and ready. Looking for a better way to type with your Apple iPad? This spectacular design we came across is a perfectly green peripheral for your tablet, making typing documents and data on the iPad a lot easier. Also, given the fact that the iZen Bamboo Keyboard is made from an eco-friendly source i.e. bamboo, this iPad accessory is environmentally gracious. Complete with specific iPad keys that mimic the home button, search and slideshow functions, this portable keyboard comes with a li-ion battery and is made from 92% bamboo. 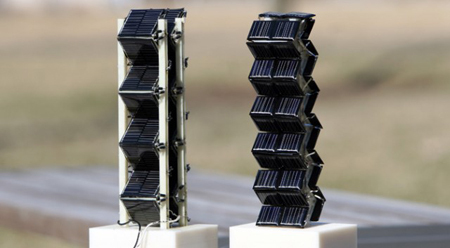 MIT has come up with an innovative way to up the scales of solar energy production. By simply ditching the conventional flat solar panel design, MIT plans to use three-dimensional solar energy harvesters shaped as cubes or towers. These according to the MIT could result in higher power generation as compared to flat solar panels. We’ve dreamed of portable solar panels before. 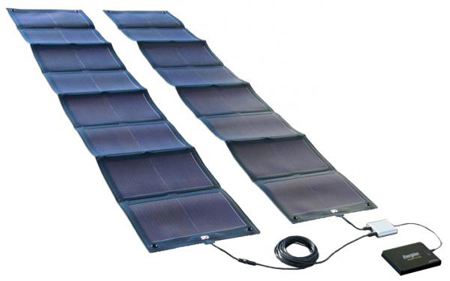 These solar panels we came across lately called the GSN-160B literally enable you to power up just about anywhere, so long as the sun shines a healthy bright. With a combination of two sheets with a total 64W output, these come with a lithium polymer battery capable of juicing up portable devices like laptops and mobile phones with energy from the sun. All you need to do is lay these out and have them soak in solar power for your use. Measuring 380 × 1,930 × 2mm when spread out, this solar panel sheets fold to 380 × 280 × 35mm making them portable as ever and will be priced at approximately 200,000 yen. 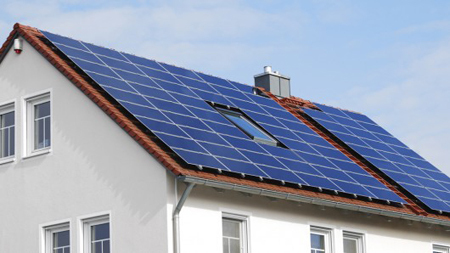 Solar panels aren’t really an eye-soothing sight, which is probably why not a lot of home owners choose to have these propped up on their roofs. Now, California-based Solar3D is currently working on integrating solar energy directly into roof tiles. This could indeed help preserve the look of the structure, without tarnishing it with eye-scorching solar panels. Using 3D solar cell technology that helps maximize sunlight converted into electricity by simply locking in the sunlight in the cell, Solar3D’s technology also makes use of silicon wafers with efficiencies of solar cells soaring at 25.47%. A development that could pretty much give the solar energy industry an impetus, Solar3D’s photovoltaics are bound to adorn rooftops soon. Skiing now turns into a greener affair. 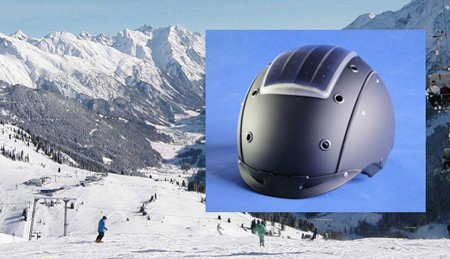 German tech firm TEXSYS along with researchers from the Technische Universität Berlin and the Fraunhofer Institute for Reliability and Microintegration has come up with a solar-powered communications helmet for skiers. Sporting a solar panel on the top, the helmet integrates stereo speakers and sports a microphone in the chin strap. Using Bluetooth to hook up with a user’s mobile device, the helmet is controlled via a glove-based controller and comes with an integrated lithium-polymer battery that powers the unit. Capable of operating in temperatures ranging between -30ºC (-22ºF) and 60ºC (140ºF), this solar powered innovation gives skiing an added dash of green. Recently, Ericsson, Volvo, Göteborg Energi, and Viktoria Institute together came up with an initiative that could pretty much pull the load of EV owners, helping make the event of charging electric cars simpler and slightly less expensive. 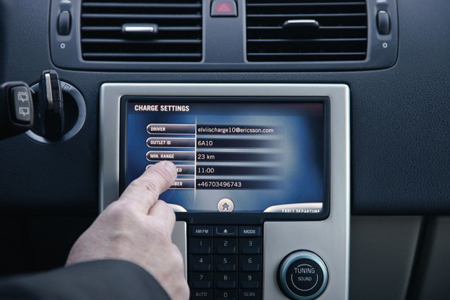 Telecommunication firm Ericsson from Sweden has designed a mobile technology that makes it easier for EVs to connect to electricity grids. This enables better control over charging and allows for scheduled charges with the costs of specific charging times being mentioned. Also, the system helps prevent overcharging and helps decrease electricity bills substantially, making owning an electric car a more pocket-easy affair. 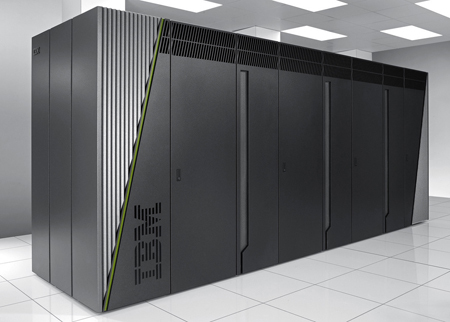 The IBM Blue Gene/Q, crowned as the world’s greenest supercomputer, will soon head to Melbourne at the Victorian Life Sciences Computation Initiative (VLSCI). Hosted by the University of Melbourne, this super-green supercomputer will provide next-generation computational capacity for life-sciences research. In short, the computer, also the fastest in the whole of Australia, will help up the levels of medical research and will sport 836 teraflops of processing power, about the same as 20,000 desktop computers. Also, as compared to other supercomputers of its kind, the Blue Gene/Q is extremely efficient and was ranked as the world’s most efficient supercomputer by the Green500. Wind chimes soothe the soul. Meant to drive away negative emotions and depressing energies, these traditional Japanese bells jingle away gloriously in the breeze. Inspired by these aural garden ornaments, designers Chen Yan Zhuang, Zhou Li, Peng Qixuan, Liu Huan-jung, Ke Qi Ling & Zhong Zhida came up with the Hope of Breeze concept. 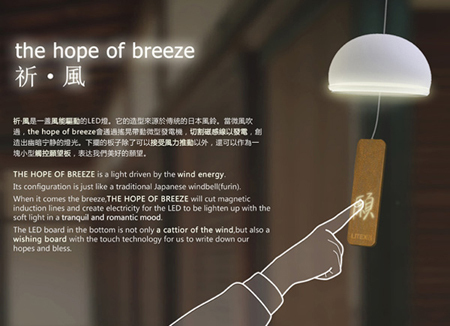 Essentially a wind-powered lamp, the Hope of Breeze uses energy harvested from the flow of wind to light up the LED lamp instead of producing those customary clinking tinkling sounds. Also, the Hope of Breeze’s LED board on the bottom works as a wishing board with touch technology, enabling one to pen down their wishes and blessings by moving their finger across the board. Earlier, the batteries used in EVs and those used to power up homes were a mile apart in design and execution. Now, Toyota Motor Corp has come up with a way to reuse nickel-metal hydride (NiMH) rechargeable batteries used for hybrid electric vehicles (HEVs) in homes as stationary batteries. 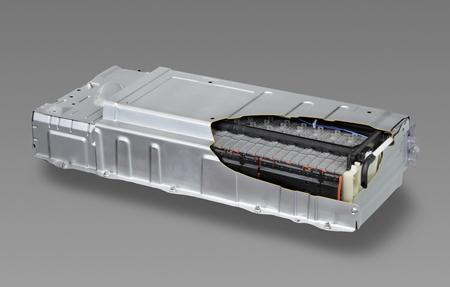 With field tests for the same currently being carried out, Toyota has been disassembling NiMH batteries, and with reduction treatment, the company has been sticking these into HEVs. All in all, these tests will prevent batteries from HEVs landing up in landfills, giving them all a better retirement in people’ homes.